Are we already in this new paradigm where solar, storage and wind are the default choice? California has been a haven for solar developers for years. Beginning in 2006, the gigawatts' worth of solar in its yearly queue of requests rivaled the state's gas capacity. Wind hasn’t been far behind. And four years ago, energy storage additions began to creep in. 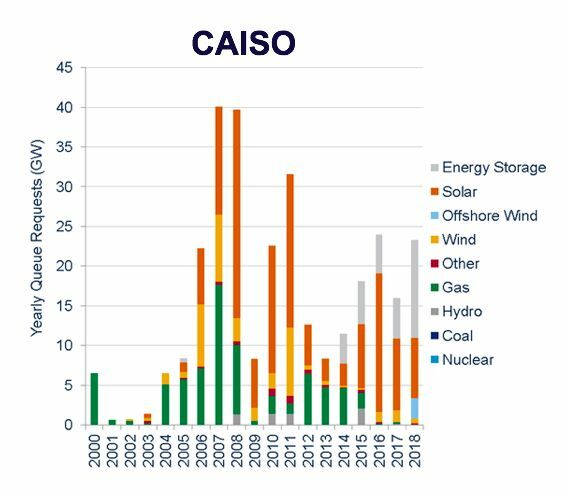 According to Prajit Ghosh, head of global strategy at Wood Mackenzie Power & Renewables, those trends have become even more pronounced in the last two years and have nearly knocked gas from the California queue entirely. California is arguably a unique case. So what happens when taking a look at that same snapshot in other regions around the country? Ghosh pointed to ERCOT, Duke Progress North Carolina’s territory and the cradle of natural gas, PJM, as indications of a monumental shift in electricity markets. Many energy industry stakeholders, such as utilities, oil and gas majors, and even the federal administration, would likely answer that question with a no. Just last month, the Energy Information Administration (EIA) reported that PJM’s annual capacity factors for natural gas, which indicate how often a generator is run, were found to have increased between 2013 and 2017. The regional grid operator's natural gas capacity grew 18 percent during that time. PJM’s growth in natural gas capacity factors was the largest among regional transmission organizations, but EIA noted the rest of the country has also seen natural-gas-fired electricity increase in the last five years. While low-cost natural gas has pushed out coal capacity, renewables have begun to compete on price as well. 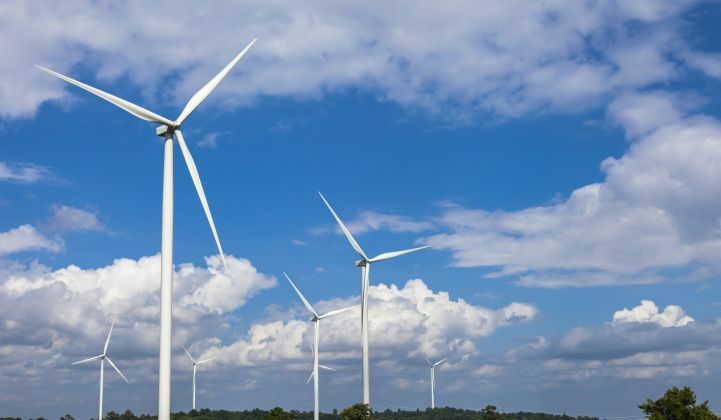 Utility requests for proposals that incorporate more renewables and increased investments from oil majors show that even the biggest incumbents are beginning to reckon with the clean energy transition. Acquisitions, like Shell’s purchase of NewMotion or Engie’s new portfolio of distributed energy companies, may help companies more quickly pivot when the transition picks up. But Ghosh also cautioned that those looking far ahead could be the most successful. So far, big energy companies have invested all over the clean energy industry, from EV charging to energy efficiency and solar development. Uncertainties in power markets has made the trajectory of the transition even more opaque. Next, Ghosh said, the industry must tackle the structure of power markets to ensure renewables aren’t snagged in market rules and regulations built for a conventional supply that doesn’t include them. Without a remake of power markets or revamped policy, renewables could face a cascade of problems, said Ghosh. The duck curve, for instance, means renewables can’t always meet electricity demand. Setting up cost structures and valuation for energy storage could help alleviate that in a world where solar and wind are the lowest-cost electricity sources. But even acknowledging the industry’s struggles, Ghosh said it’s “very definitive” that the transition is coming. The questions that remain about renewables integration, compensation and use will just define its speed. GTM Squared will livestream two full days of panels and presentations on Nov. 13-14 from Austin. Squared members get exclusive access to the broadcast and video on-demand afterward. Learn more here.